Part 5: Much Ado About Nothing? Virginia's "Kings Dominion Law"
Center for Economic Analysis and Policy, Old Dominion University, "Part 5: Much Ado About Nothing? Virginia's "Kings Dominion Law"" (2018). 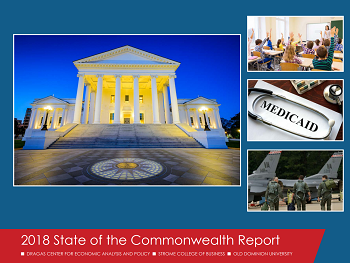 State of the Commonwealth Reports. 32.